Lake Union Publishing, 9781503900837, 396pp. Key West, 1936. Headstrong, accomplished journalist Martha Gellhorn is confident with words but less so with men when she meets disheveled literary titan Ernest Hemingway in a dive bar. Their friendship--forged over writing, talk, and family dinners--flourishes into something undeniable in Madrid while they're covering the Spanish Civil War. Martha reveres him. The very married Hemingway is taken with Martha--her beauty, her ambition, and her fearless spirit. And as Hemingway tells her, the most powerful love stories are always set against the fury of war. The risks are so much greater. They're made for each other. With their romance unfolding as they travel the globe, Martha establishes herself as one of the world's foremost war correspondents, and Hemingway begins the novel that will win him the Nobel Prize for Literature. 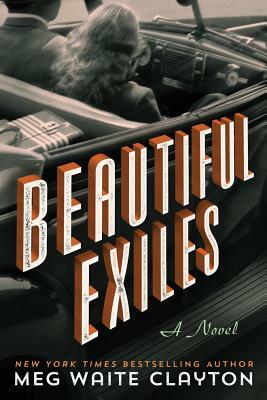 Beautiful Exiles is a stirring story of lovers and rivals, of the breathless attraction to power and fame, and of one woman--ahead of her time--claiming her own identity from the wreckage of love.